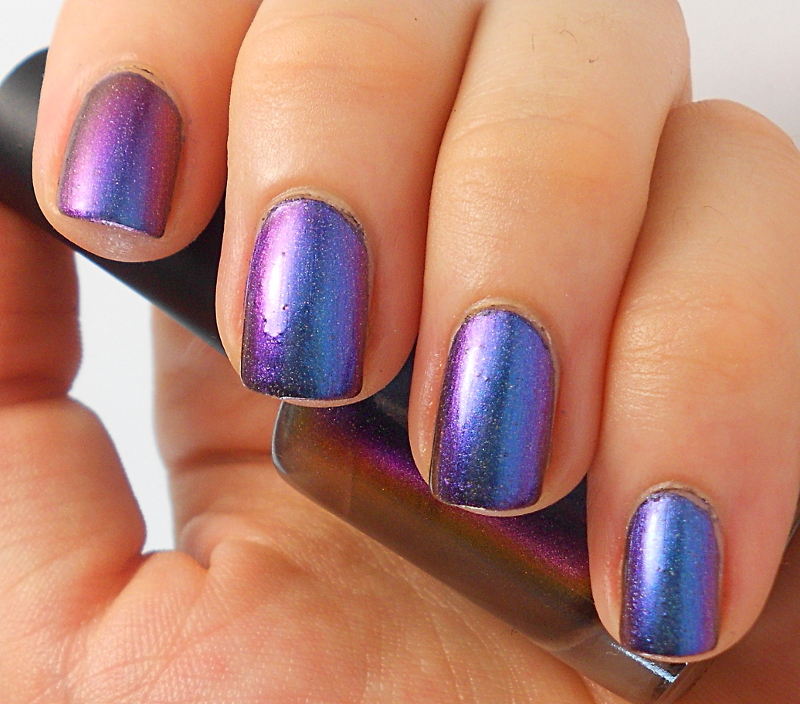 I’m sure many of you have seen swatches of I Love Nail Polish’s gorgeous Ultrachrome range. These polishes were on the TOP of my lemming list since the first time I saw them. 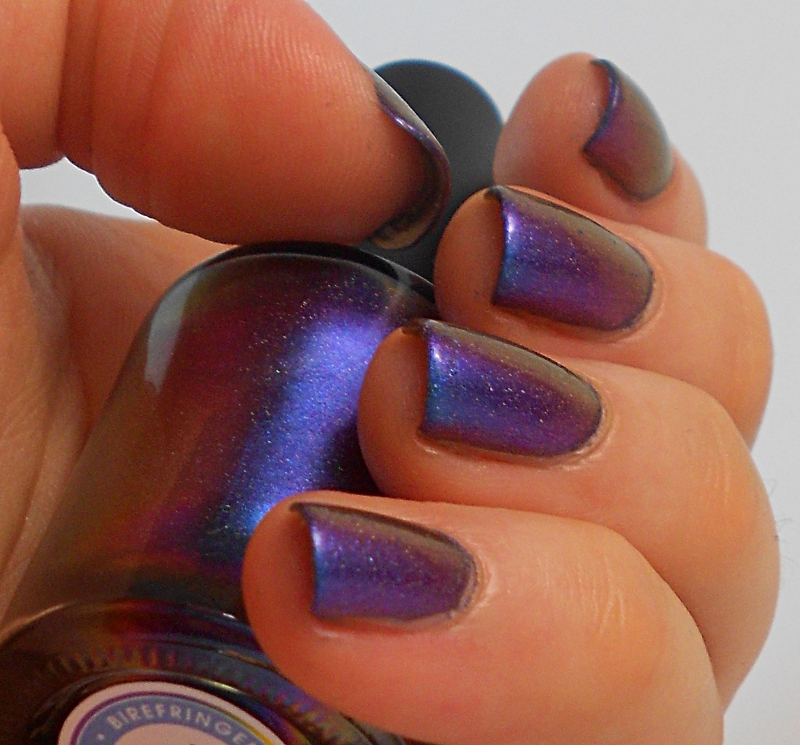 When it was announced that they were bringing out holographic versions of the polish – and you could get a free limited edition polish if you bought them in the preorder – I could no longer resist. So, I got my very first indie/boutique polishes and I got my biggest lemming! I can’t wait to show you! Today, I have Birefringence (H). I’ve done a separate post for each of the 5 polishes I got just because they are all beyond gorgeous and need a lot of pictures to do them justice! So look out for the rest in the next couple of weeks 🙂 This post is a bit more picture heavy than usual but it’s worth it! 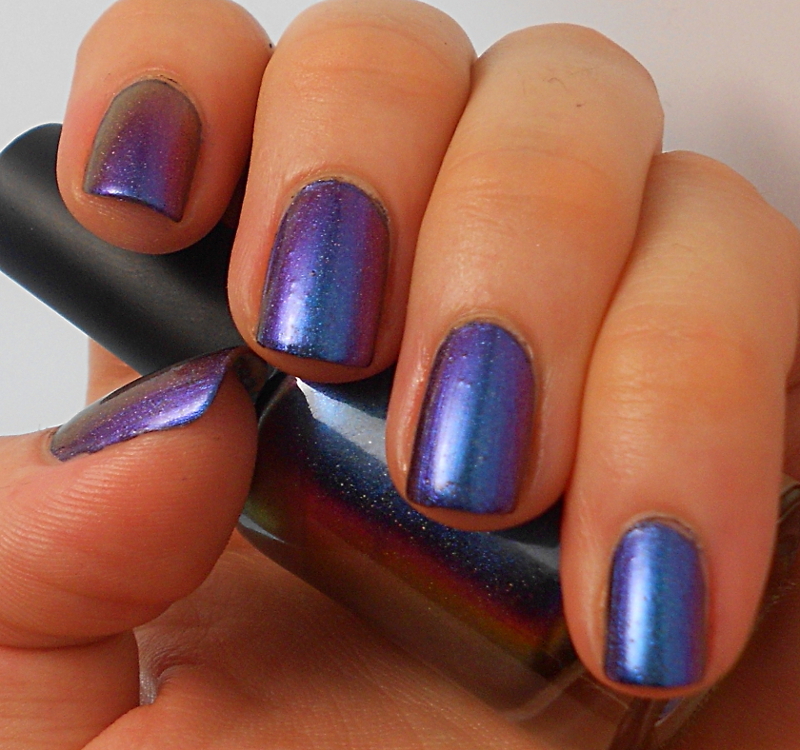 I did 2 coats of Birefringence (H) with a top coat. I expected this to be my favourite, and I was NOT disappointed. It’s stunning! I found that all the polishes were slightly patchy on the first coat, but evened out perfectly with the second coat. 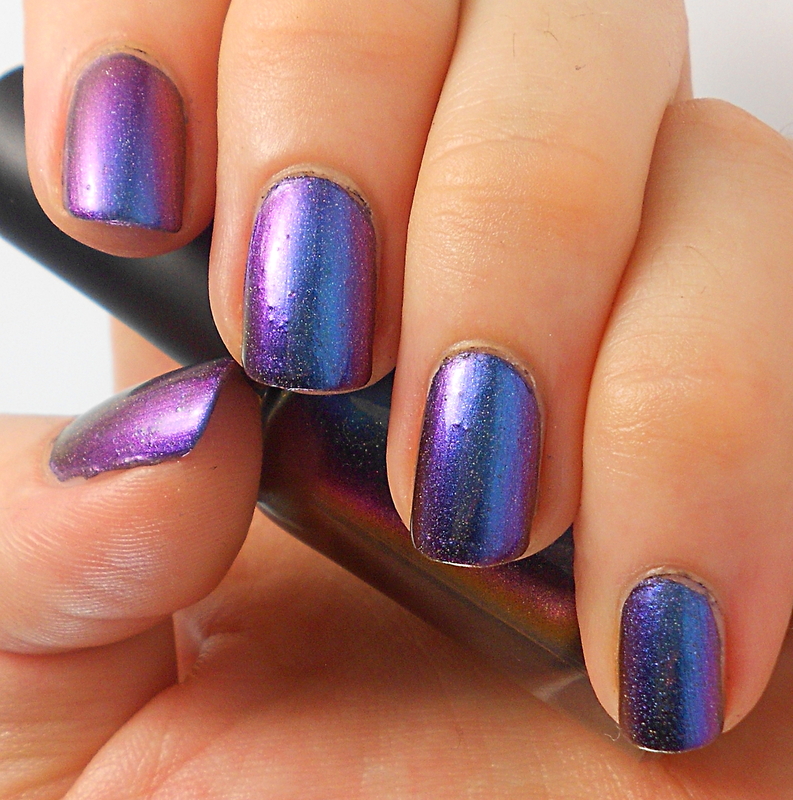 I’ve seen some bloggers layering this over black and that looks amazing, but honestly, it looks amazing like this too! I have yet to try it layered. I just couldn’t stop staring at my nails! 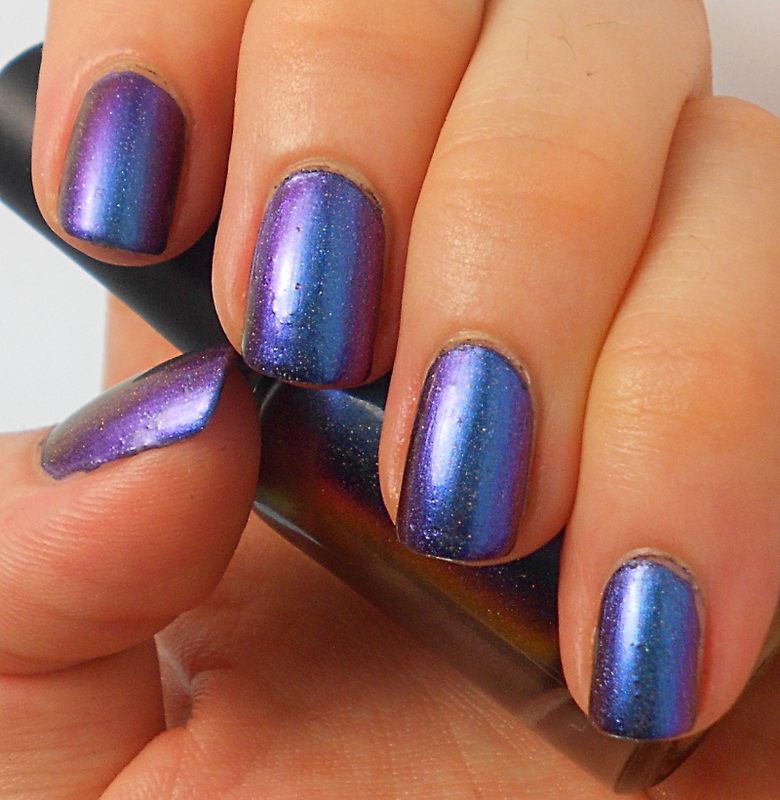 This polish is absolutely jaw-droppingly beautiful. The main colours are blue and purple, then – as you see in the picture above – it shifts strongly to orange and gold at the right angles. It’s simply stunning. 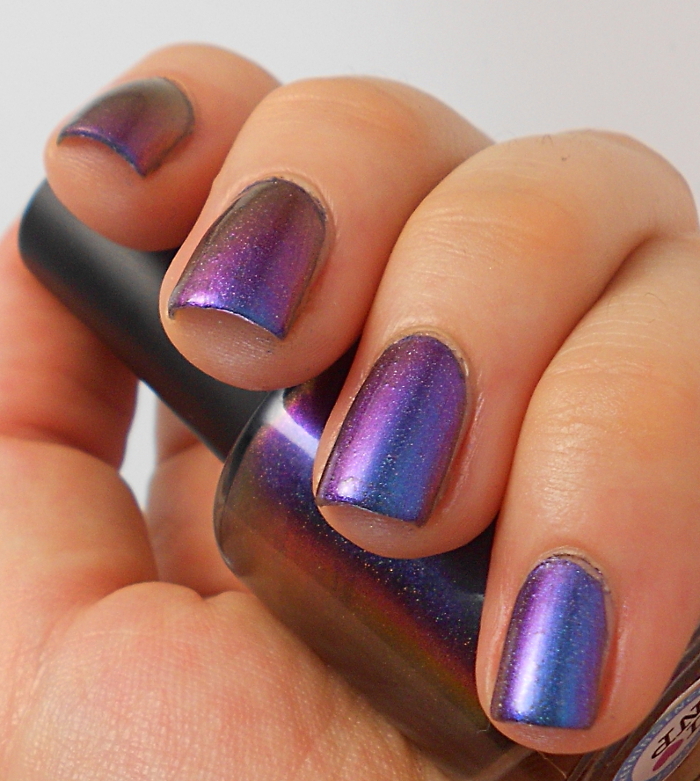 These pictures were all taken with the lightbox and you can just barely see some of the holographic particles – but in the sun this polish undergoes another transformation. 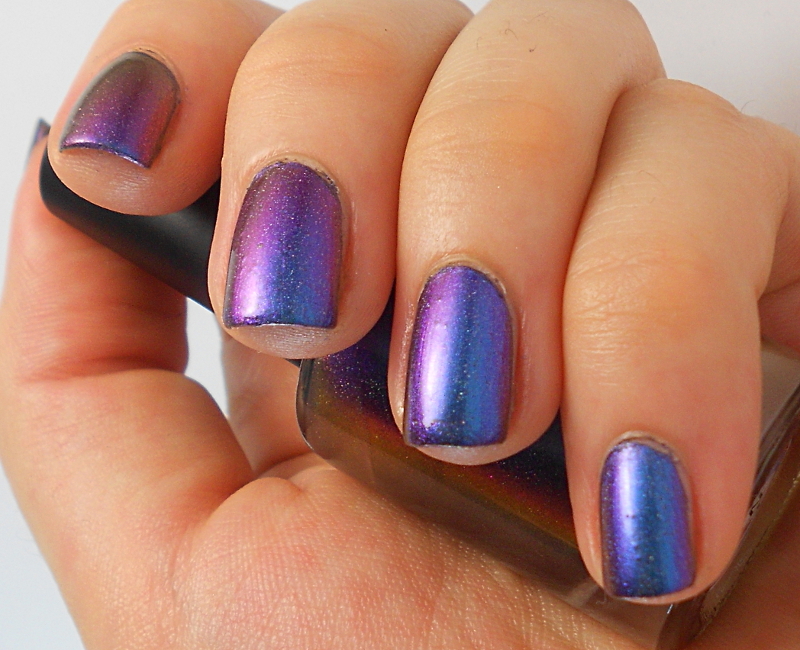 The holo is stronger than I expected considering that this polish already has such a strong chrome effect. Unfortunately I couldn’t get any sunlight photos for you but you’ll just have to take my word for it that this polish is unbelievable. 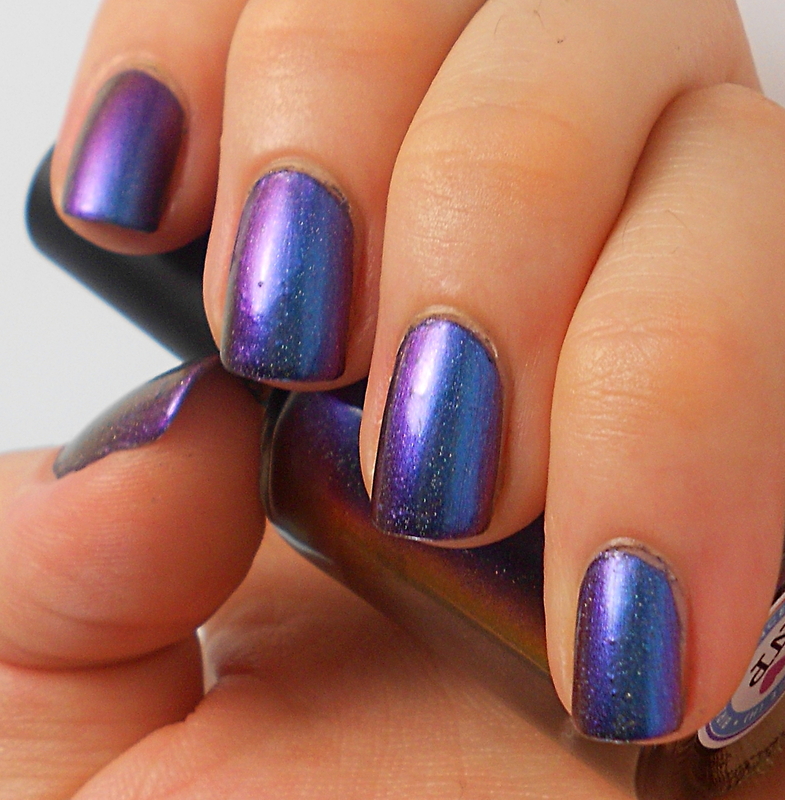 When I wore it I checked my nails everywhere I went just to see how they looked in different lighting conditions. I am so, so glad I got my hands on this polish! Buying indie or boutique polishes can be a bit of a pain thanks to the crazy customs charges, but it this case, it was SO worth it. And here are a few more pictures, just in case you haven’t seen enough yet! 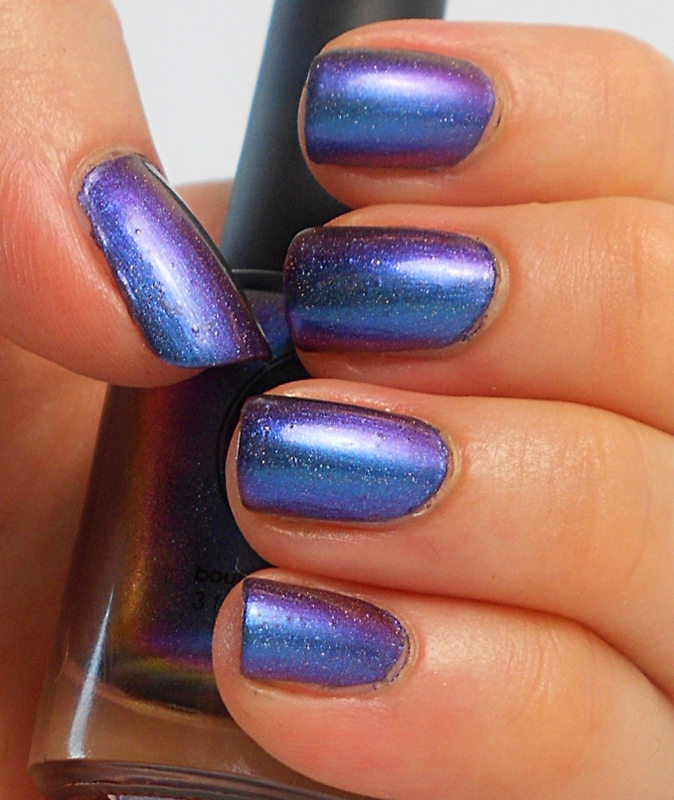 This polish is available on the ILNP website. Do you love it as much as I do? Ok no no, I want to marry this one!!! I have Mutagen! I’m dying for Cygnus Loop & Birefringence! Yay I have them all! You’ll be seeing the others on here in the next couple of weeks… they are all stunning! So beautiful. *swoon for days. I kinda hate you just a little. It’s BEAUTIFUL! Seriously, it’s unbelievable. Well worth the extra effort and cost to get hold of it.